Our punctuation corrector says that the literary technique known as irony is used when a particular outcome is made known; meanwhile readers or members of the audience were hoping for or expecting something different from what is revealed. “Julie is usually nowhere to be found during the school break hour. On one occasion, a classmate followed her secretly to find out where she has been going and why. She discovered that Julia walked into a hideous corner. When she peeped, she was alarmed at what she saw – other students from schools around were also there, whispering in groups and some were holding guns. In this example, the reader expects that the police will meet Julia and her group at the location, but it turned out the opposite or contrary. It is the expression of an individual’s meaning with the use of language that usually portrays the opposite, to typically achieve emphatic and humorous effect. “Do not be exaggerative with your compliment”, Steve responded with heavy irony. Irony is also described with words such as sarcasm, sharpness, dryness, sardonicism, mordancy, trenchancy, and cynicism. The two basic kinds of irony are the verbal and situational irony. Other types of irony have their origin from these two basic types. Verbal Irony: It is simply the type of irony where one says or implies what he doesn’t mean. Example: If someone suggests a stupid idea and another says, “excellent concept!” It’s a typical example of verbal irony. Situational Irony: The best way to explain this type of irony is to paint a scenario where someone giggles at the mishap of another, not knowing that similar or same mishap is about to befall him. Whether you want to learn how to write a dramatic irony sentence or situational irony sentence, a good place to start is to learn the difference between the two. Dramatic irony: It’s a situation where the characters are unaware of the situation or circumstance, the audience however is aware. Writers often employ this type of irony in their works if they know everything about false conceptions and adroit questioning. A good example is Romeo and Juliet. The audience was earlier aware that the characters will die, but the characters were oblivious of the circumstance. Situational irony: In the case of situational irony sentences, neither the audience nor the characters are aware of what would come out of the situation. It is important to say that irony could be bitter, comical, or sometimes very offensive in real life situations or circumstances. Socratic irony in a sentence: It’s defined as a pose of ignorance with the intention of enticing another into making some expressions or statements that can subsequently be challenged. It’s a way of admitting your own ignorance as well as readiness to learn, and at the same time exposing the inconsistencies of another by close questioning. Here, we will analyze a number of common example of irony from the everyday life. Subsequently, you can learn from the example of irony in sentence. Recently, I twitted a post on Twitter about how absorbing and time-consuming Twitter can be. Brian mocked the man who failed an interview; the following day, he came out from an IT company with his face surly. He has just failed an interview too. The bread is as soft as stone. “Go ask his name: If he be married: My grave is like to be my wedding bed.” This line from Romeo and Juliet is a typical example of verbal irony. In the above poem written by Karen-Happuch, there are different kinds of food adorning the dining table, yet the writer concluded there’s no food because none of the dishes appeals to her appetite. 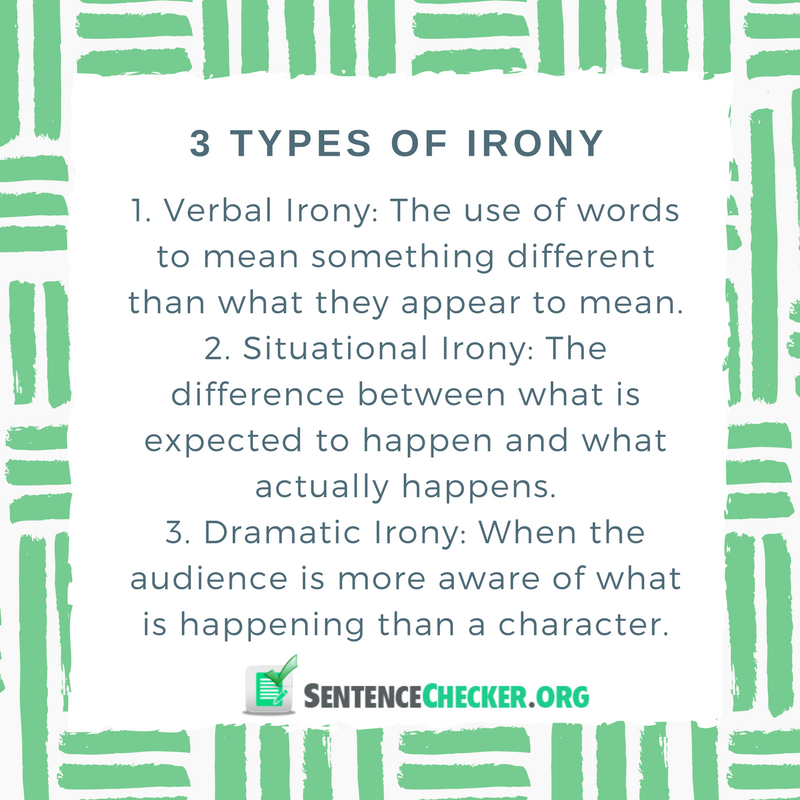 If you’ve been asking how do you use irony in a sentence, the above examples are great lessons on how you can make an expression or utterance in an ironical way. Using irony in speech or writing is an adroit art that you can master over time. What Then Is the Function of Irony? Irony like other figures of speech is intended to highlight an added meaning to a situation. Situations and statements that have ironic undertone provoke readers or audience’s interest. A work of literature becomes more intriguing when it features irony. As a result, readers are forced to engage their imagination in order to grasp the underlying meaning or interpretation of the work. Besides, real life is packed with ironical situations and expressions. 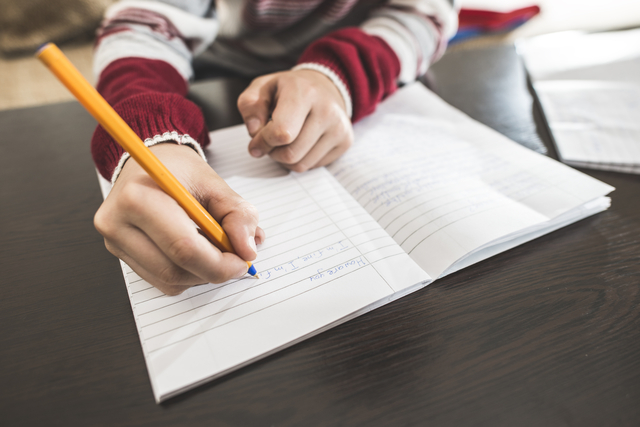 As a result, integrating irony in a literature or writing helps to make it practical. In conclusion, it is important to state that you should only use irony when needful, especially for non-literal work. Also, when you use irony in a sentence or even in speech, be as creative as possible, so that you will achieve the desired purpose which is to provoke the reader’s or listener’s interest. Luckily, you can find professional help online on the best way to express a sentence using irony or learn the rule for writing numbers. Use irony in a sentence correctly!